siriously delicious: Hey Food, will you be my Valentine?? Hey Food, will you be my Valentine?? This Valentine's weekend, I did not cook. I will have to save making Brownie Pudding for another holiday where eating ridiculous things is allowed. Ina Garten, you are naughty. 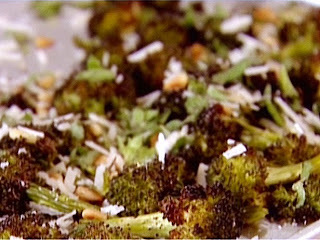 With this recipe for Roasted Broccoli, you have turned this healthy vegetable into something else entirely. This tasted like I was doing something wrong, and I sure did like it. Crispy pan-fried chicken. 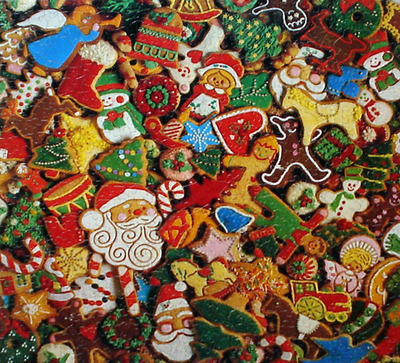 How come certain things taste better when other people make them? Is it because they put extra butter/oil/lard/crack in it that you would feel too guilty doing yourself? I definitely did NOT feel too guilty to eat this. Pasta Aglio e Olio, which means garlic and oil. I think. That's definitely what it tastes like. Fresh garlic and lots of good olive oil and cheese and red pepper. A bowl of stupid goodness. 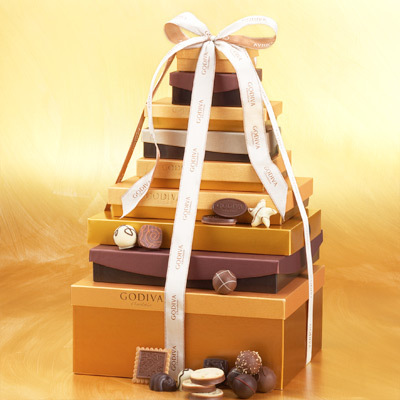 Godiva chocolates. Okay, not a TOWER of boxes, but enough to make me never eat again.